Now that Christmas has passed, I felt like it was time to countdown to what has the potential to be the most amazing trip of my life. This summer we embark on a six week long National Parks trip with our two boys. We have been planning for months, saving for years, and finally the day is almost here. 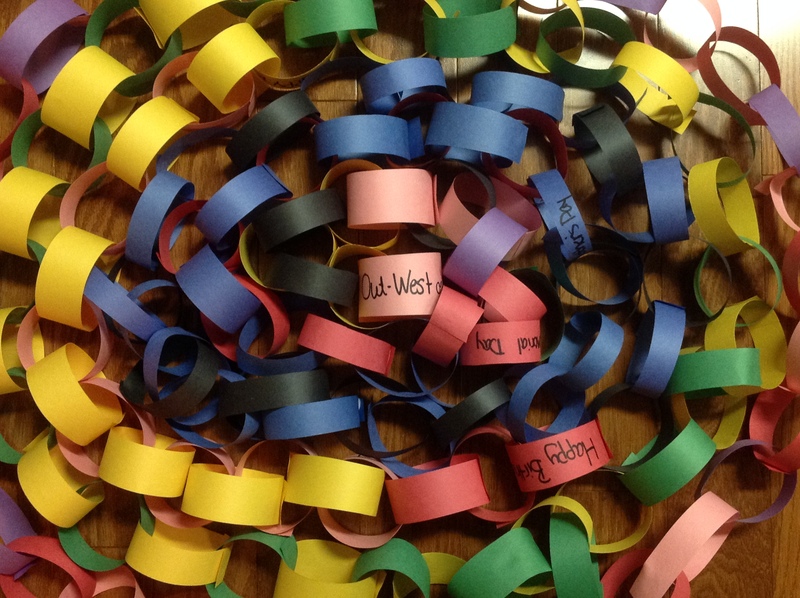 I love a paper chain because it allows you to see the days ahead. We are so excited! Yellow Stone, Yosemite, and the Grand Canyon are all on the itinerary. All that is left is to survive the Winter, endure the Spring, and pack! If you haven’t seen Ken Burns The National Parks: America’s Best Idea, you should definitely give it a watch. You might be inspired to take a trip of your own. You can also watch it on Amazon Prime or Netflix. “The mountains are fountains of men as well as of rivers, of glaciers, of fertile soil. The great poets, philosophers, prophets, able men whose thoughts and deeds have moved the world, have come down from the moutnains — mountain-dwellers who have grown strong there with the forest trees in Nature’s work-shops.